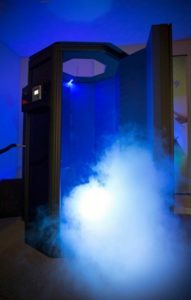 world, cryotherapy has actually been around for centuries. Have you ever put an ice pack on you knee after a fall? Well then, congrats! You’ve already done cryotherapy—technically. We’ve known for years that icing an injury can help reduce pain, swelling, and inflammation, so whole-body cryotherapy just takes this concept to a new level. Naturally, the first question many of us have is “Does it hurt?” Exposing your body to subzero temperatures does seem like a pretty unbearable experience, but people say it’s actually more tolerable than an ice bath since the air is dry instead of wet—which makes it feel more like standing in front of a freezer on a hot day. If you’ve gotten this far and are thinking about trying it out, there are a few things to keep in mind. For starters, we love that Glastonbury Cryotherapy is affiliated with Glastonbury Massage Center and Damato Chiropractic Center of Glastonbury — so that is something to look for. Still not sure if it’s right for you? We get it, even after taking in all this information, it can still be hard to decide. 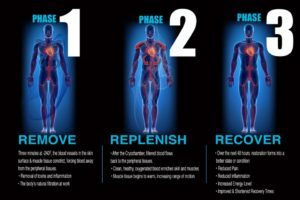 If you’re a high-performance athlete or suffering from chronic pain or inflammation, cryotherapy might be a worthy experiment. Contact Glastonbury Cryotherapy today to see how we can help you!